Rupert Murdoch's bid to take full ownership of Sky has been rebuked by the Competition & Markets Authority because the deal would give the media mogul's family too much power. It is the second time Murdoch’s 21st Century Fox bid has been thwarted and is likely to be the final attempt should Disney buy Fox in a proposed takeover deal later this year. In its findings today, the CMA said Fox’s £11.7bn bid to buy the 61% of Sky it does not already own would give the Murdochs "too much control over new providers across all media platforms". This would mean Murdoch would have "too much influence over public opinion and the political agenda" and therefore is not in the public interest. However, the regulator suggested a possibly remedy could be a spin-off or divestiture of Sky News which would allow the Fox bid to go through. The deal would likely be approved if a Disney-owned Fox were to pursue the deal, the CMA added: "The Disney/Fox transaction, if completed, would significantly weaken the link between the [Murdoch Family Trust] and Sky which is at the root of our provisional concerns about media plurality. Consequently, on the face of it, these concerns would fall away if the Disney/Fox transaction went ahead as announced." The CMA also investigated how UK broadcasting standards would be affected by the deal and said Fox has policies and procedure in place to ensure broadcasting standards were met. The regulator found that "Sky has a good record in this regard" and that allegations of sexual harassment of Fox News employees in the US did not directly affect UK broadcasting standards. 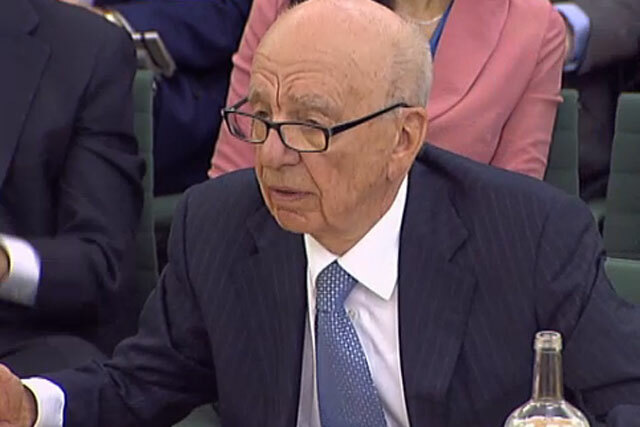 Murdoch’s first attempt to take full control of Sky was frustrated in 2012 following the newspaper phone-hacking scandal which led to the closure of The News of the World. A final CMA report will be sent to the culture secretary Matt Hancock on 1 May. Hancock will then make the final decision on the proposed deal. Does the consolidation of traditional media spell the end of the ad as we know it?